Majestic mountains tower solidly to the sky, Why do we want to climb on your shoulders? Is it out of reverence for your strength? Massive figures sitting heavily on the earth Caring not about long months of wind or rain. We can learn so many things from nature. From the mountains and the sea. To share this time with family and friends Is so precious. 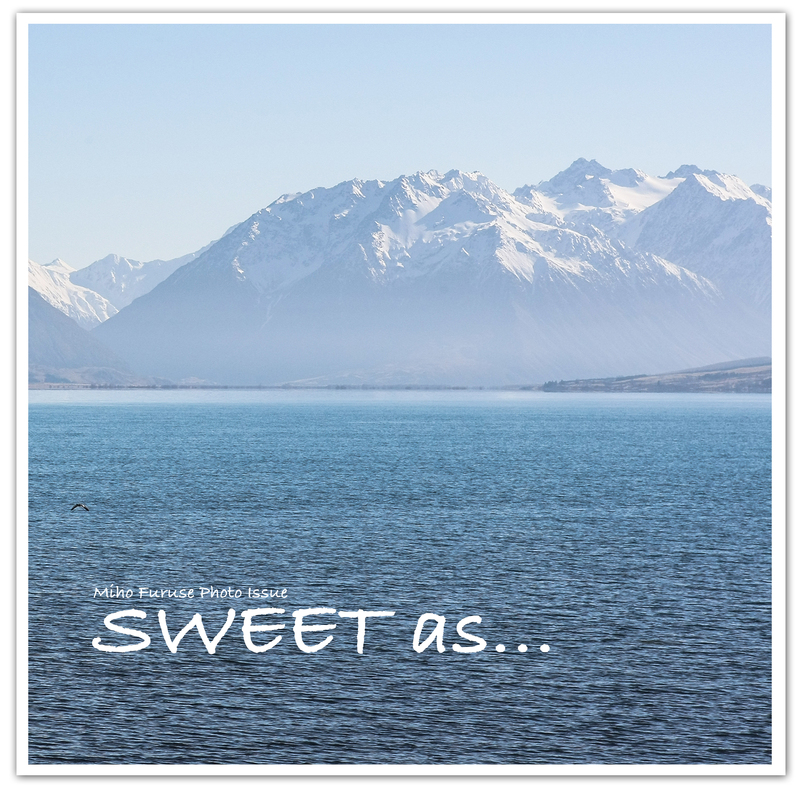 "Sweet as ..." to love New Zealand for over 20 years, Words used frequently between my husband and his Kiwi friends Not high praise for the wonderful or extraordinary, "Sweet" encompasses the common goodness of everyday life.